Debt Battle Leads To Layoffs In Aviation And Beyond The controversy in Congress over the debt ceiling has added to a list of factors hindering job creation this summer. When Congress failed to pass a short-term extension of the Federal Aviation Administration's budget in July, the agency had to lay off thousands of workers. McCarran International Airport in Las Vegas has had to put off a construction project because Congress failed to pass a short-term extension of the Federal Aviation Administration's budget. The hold-up has caused construction layoffs. Many factors have been holding down job creation this summer — everything from the extremely hot weather in many regions to the weak housing market in just about every city. Another factor dampening job growth has been the political battle over the nation's debt. 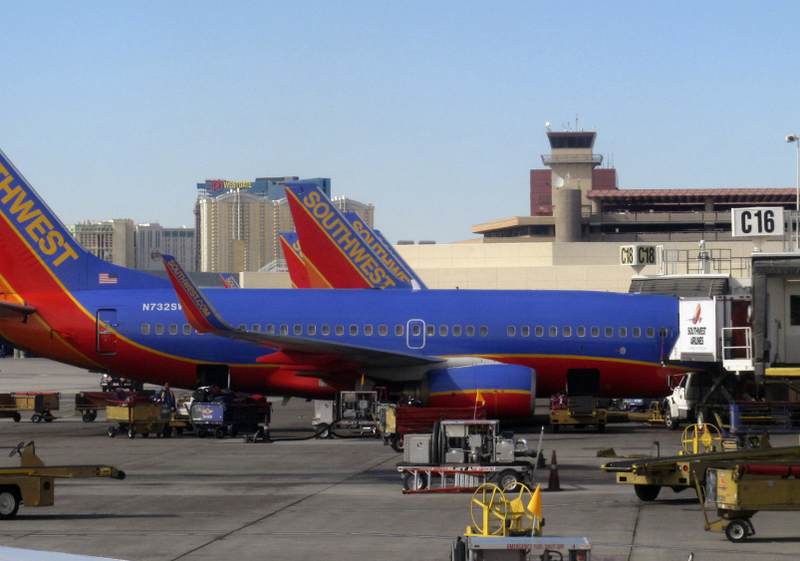 One example of how the Washington debate is hurting workers involves aviation. Amid the bickering over the debt ceiling earlier in July, Congress failed to pass a short-term extension of the Federal Aviation Administration's budget. As a result, on July 23, the FAA's budget authorization expired and the agency had to lay off some 4,000 workers. Now the disruption is rippling out to contractors at airports around the country. For example, in Las Vegas, construction of a new air traffic control tower at McCarran International Airport is on hold for lack of FAA funding. That disruption has caused a cascade of construction layoffs. Across the country, roughly 70,000 workers are expected to be idled by this FAA budget mess. Many economists fear that when the Labor Department releases its monthly unemployment report on Friday, it will offer new signs that the U.S. economy is sliding back toward recession. IHS Global Insight, a forecasting firm, is predicting employers added only about 50,000 jobs during July, up from June's scant 18,000 new jobs. But even 50,000 jobs would be far below a level that would significantly improve the jobs outlook. About 14 million people are currently seeking jobs, so the economy needs to be adding hundreds of thousands of jobs a month to make a significant dent in the problem. "We don't expect such a weak report as in June, [but] we look for another month of sluggish private employment growth and declining government employment," says IHS Global Insight's chief U.S. economist, Nigel Gault. Even after the budget debates have settled out, government spending likely will be contracting at both the federal and state levels. That may mean fewer paychecks for all sorts of public-sector employees, from teachers to astronauts. The debt-related uncertainty in financial markets is also indirectly hindering job growth by creating jitters among employers. Many of them are sitting on large amounts of cash, but are reluctant to plow it into expansions until they know financial markets will be operating smoothly in coming months and years.